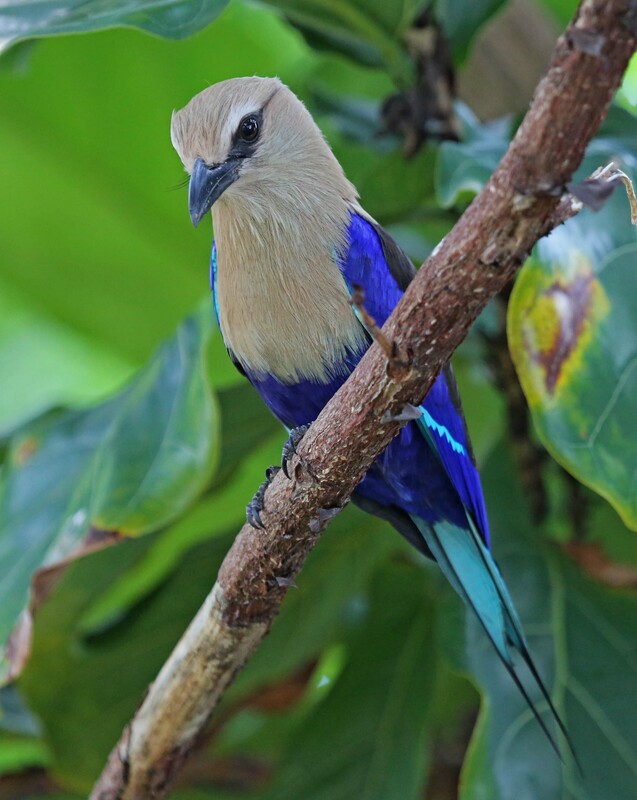 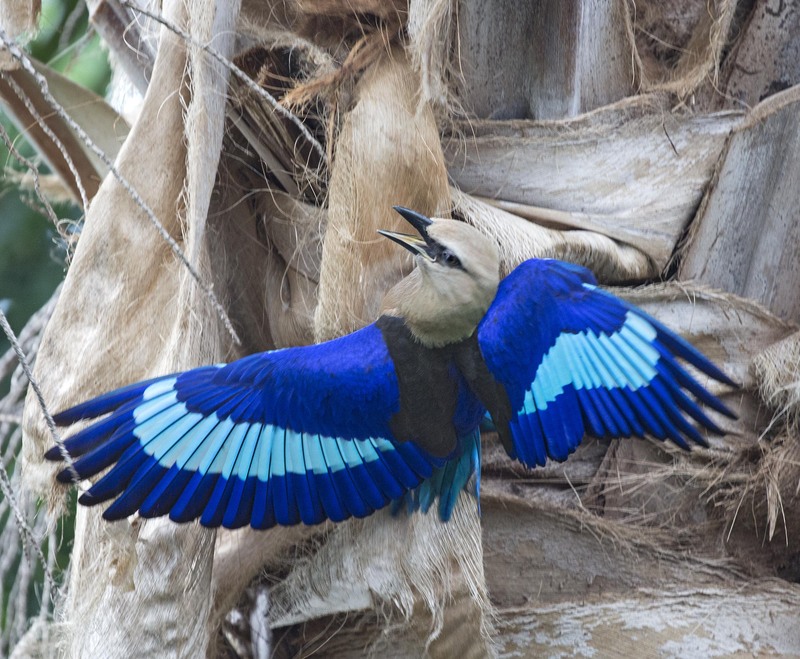 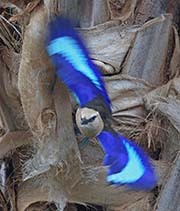 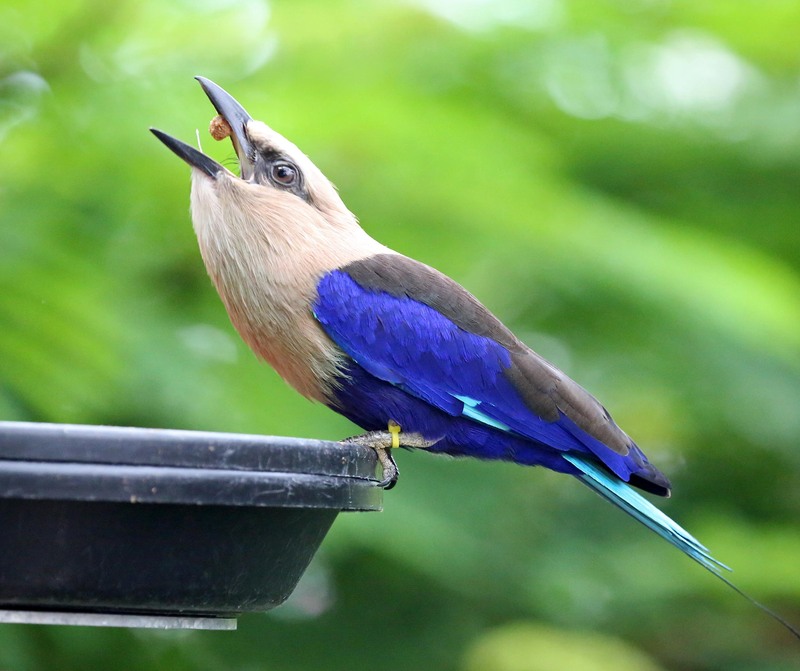 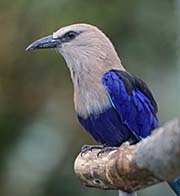 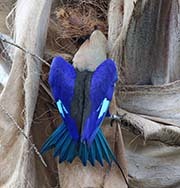 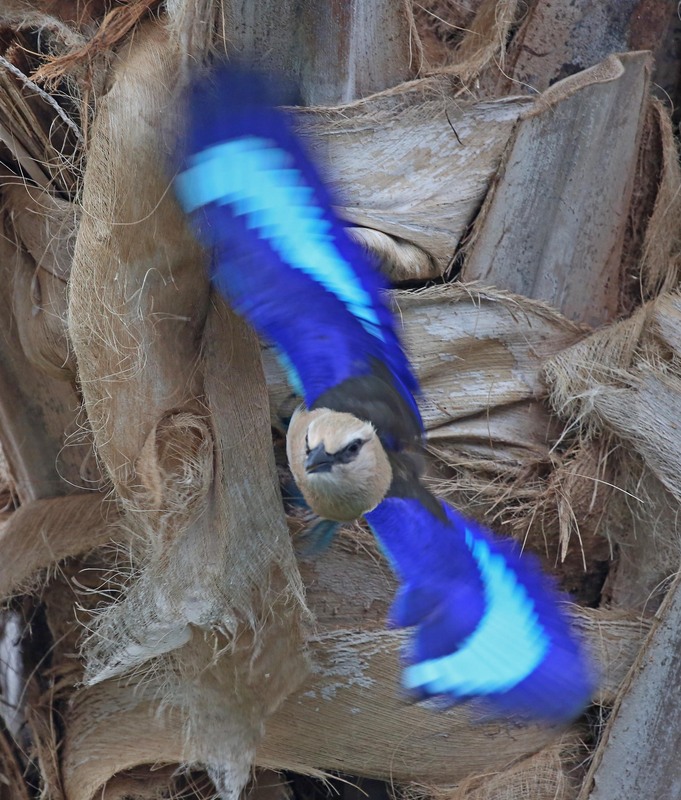 The Blue-bellied Roller is found in Africa. 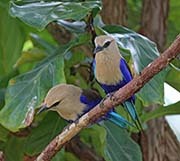 They are found in open country where they perch on trees, post or overhead wires. They eat grasshoppers and other large insects.